We enjoyed the magnificent views from our train journey across the Pennine’s on this bright Saturday morning, as we made our way to Manchester to visit Dom’s Tavola Calda – literally translated as ‘no menu.’ The Deansgate restaurant provides a classic and basic Italian and Mediterranean menu, but in the most authentic way with the offering changing on a daily basis to reflect the fresh, seasonal ingredients that they source from local markets. Their approach is rustic, and with a head chef with over 40 years of experience, you are guaranteed quality in every dish. Our experience was faultless and our waiter, Lee, took amazing care of us throughout. 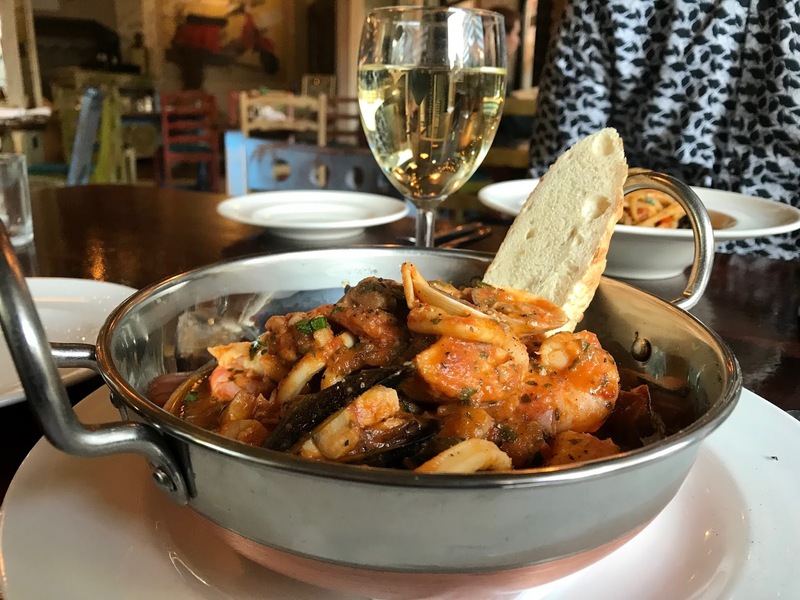 Sat in the window with the sun beaming through, it was the perfect excuse to have a glass of Sauvignon Blanc in Jessica’s case, a recommendation based off it’s suitability with her choice of main course – the fish stew from the day’s specials menu. After visiting Veeno in Chester a couple of weeks back, we’re starting to appreciate food and wine pairings and are determined to come experts in it ourselves. But for now, we left it to Lee and it was certainly a good choice. I’m still slightly reluctant when it comes to wine, so a bottle of the Mediterranean Estrella Damn was good for me. The starter was splendid, and arguably the highlight of the whole meal. It left us almost full with our main courses still to come, but there was no way that we were leaving any food on our plates today. 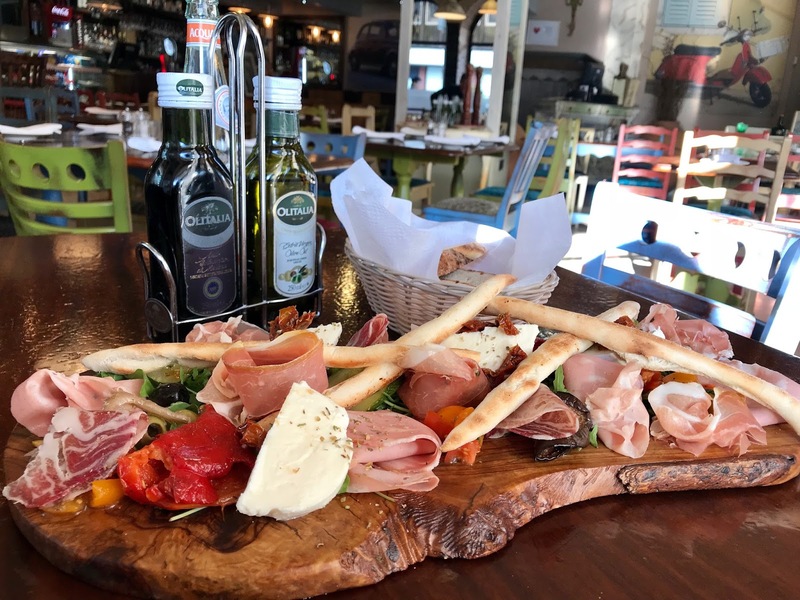 The Tagliere misto was fantastically presented, full of different meats, cheeses, peppers, vegetables and Italian bread. It still blows our mind that this is an Italian’s diet on a regular basis, and with our plans to travel and explore Italy next year, it is something we can definitely get used to. Even if you were passing by the area looking for a quick drink and bite to eat, we’d definitely recommend that you swerve towards this platter. With an option of sharing between two like we did, it’s a sumptuous way to fill more than a little hole. It was seafood all round with these impressive mains, with Jessica’s specials main full of hearty goodness and a tender selection of everything from cod to mussels. 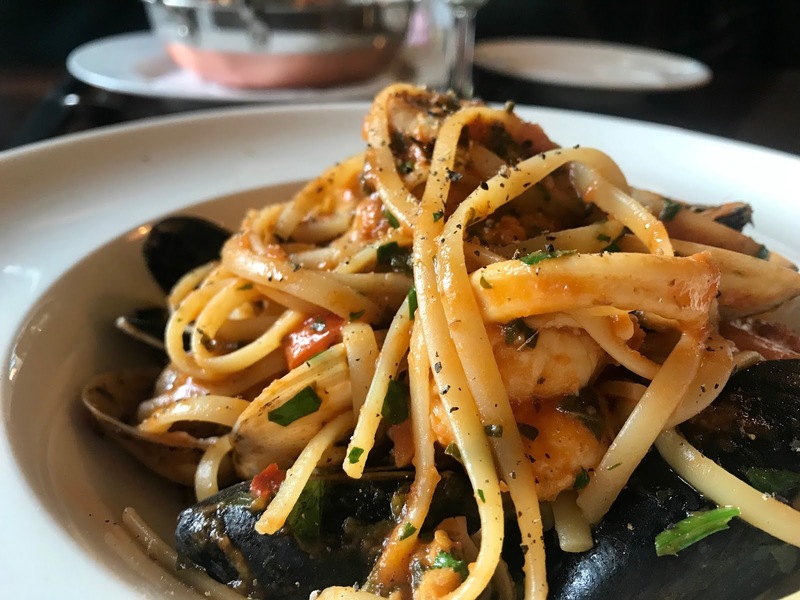 My linguine was absolutely delightful, and I even managed to save my self from embarrassment and keep my hands clean from all of the mussels and prawns! The white wine sauce with hints of chilli and garlic gave it all the kick you could possibly need, and we rounded off proceedings with a Limoncello and Espresso to save ourselves from the inevitable food coma. 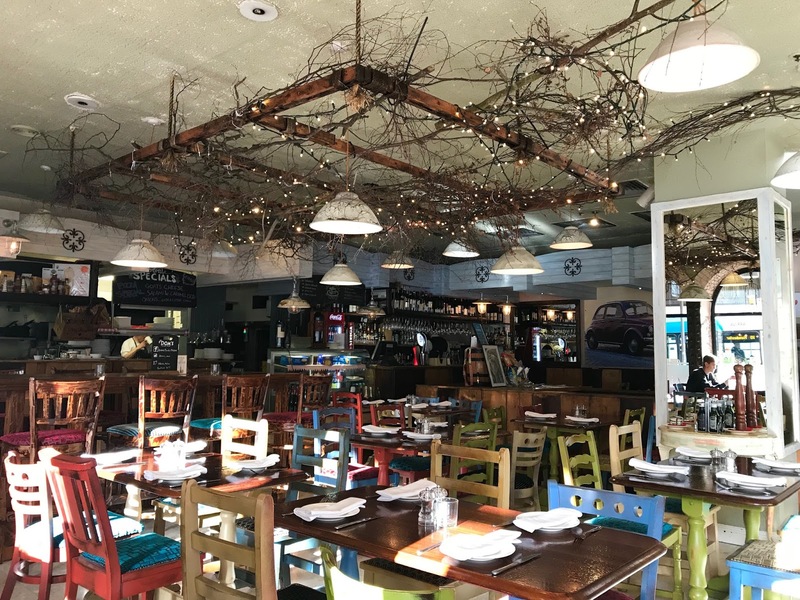 Overall we had nothing short of a tremendous time here at Dom’s, and we can’t wait to visit their sister restaurant, Al Bacio, also in the heart of Manchester. Here, the restaurant itself, calming atmosphere, amazing service and beautiful food gave us the perfect start to our weekend. Thank you to all and especially our waiter Lee at Dom’s Tavola Calda! Oh my gosh, the food and decor here look amazing! I hope you enjoy exploring food and wine pairings as time goes on, keep us informed of your discoveries. OMG These seafood dishes look amazeballs! Can't wait to try when I visit 🙂 Great pics btw!